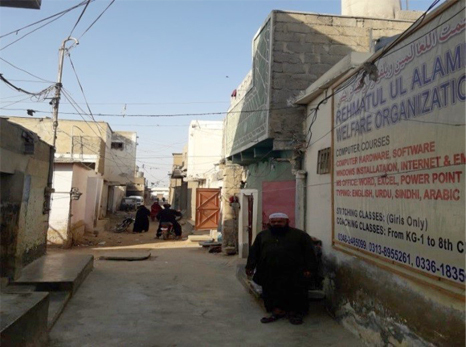 There are various works/scheme undertaken by the organization to fulfill its AIM since its establishment at Korangi in April 2013. 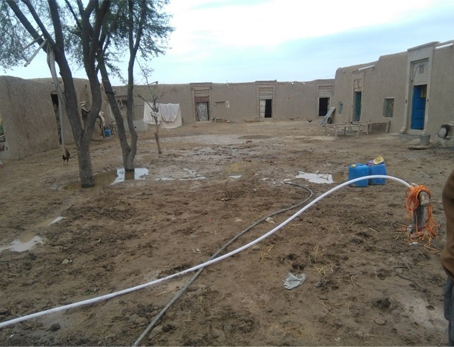 In September 2017 a small unit of RAWO has also been established in DI Khan district in a remote village Thallian about 50 km west of DI Khan. Imam Masjid Obaidullah of the village mosque, a young and educated person is in charge of the setup. The welfare works executed/planned by the RAWO during 2018 are enumerated below along with expenditures. The children are learning Quran in two shifts. 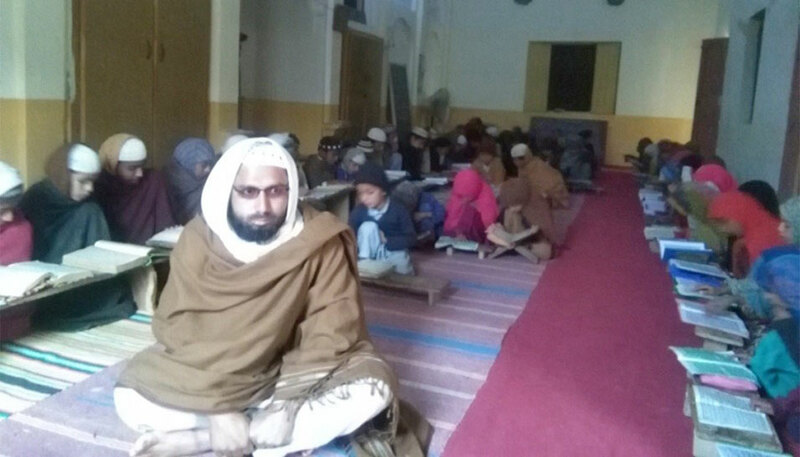 Qari Saifullah and a lady teacher are performing the duties. There are about 100 students. A third teacher is teaching the Quranic Arabic to elder students. Girls stitching school was established in May 2013 Thirteen machines were provided along with two teachers. 25 to 30 students are present at a time. In 3 to 4 months a batch is trained for simple stitching. 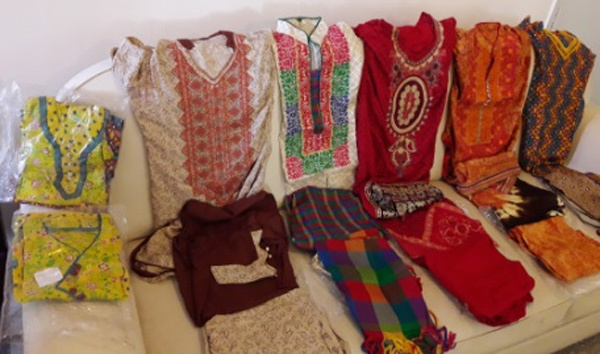 The aim is to teach stitching to the girls of the area at very low rates (Rs.100 per month) so that they may be able to provide financial support to their families. Annual income of the school is around Rs.33,600. A subsidy of Rs.74,400 annually is needed to keep the school in functional state. It has been run successfully for the last four years. 270 persons have received Financial Support up till 2018 and are in business independently. 50 persons were benefited in 2018. More than Rs 800,000 is in circulation with a monthly recovery of Rs75000 to Rs85000 with zero markup. There is no defaulter since launching of this scheme. Our clients are poor people those selling Fruits, Vegetable, small shop owners etc. It was established in October 2014 in a rented accommodation with 10 Computers. In November 2017it was shifted to our main accommodation in Korangi. Presently it is under strength, one teacher is managing the classes. Though the institute is financially not very successful, however it has been run for the welfare of poor students. The present strength of the students is 22. The repair maintenance and replacement of the computers is done as per needs arrives. Financial assistance is provided to closely associate persons requiring medical support etc. Patients for eye surgery are sent to Lions International Eye Hospital for free Cataract Operation. Cases of complicated nature are referred to known specialist for free consultation and treatment on concessional rates. From November 2017, a Coaching Centre has been started from KG-I to class 8 comprising of two sections. There are presently 30 students. This coaching is helpful to weak students. Two teachers have been employed. The fee is kept low to accommodate maximum students. Cooking Classes have been started on weekly basis from 17 December 2017 on every Sunday. A course of 12 weeks have been planned for making 12 simple dishes. Initial expenditures of Rs 10,000 have been made for utensils, gas burner and grocery etc. A batch of 10 students and one teacher are on the job. A library has been established for the children. Story books, historical books, and books on religion mostly in Urdu of children level have been received as donation. Procurement of more books from the market is in progress. RAWO has taken a bold step in Sept 2017 by launching welfare projects outside Karachi. A unit of RAWO was established in Thallian Village District DI Khan. 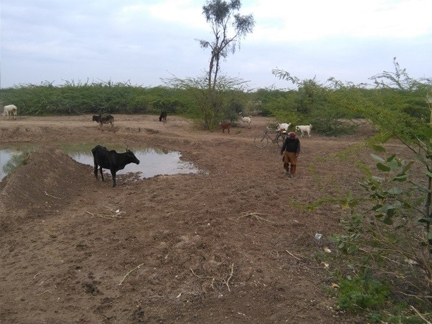 It is a small village about 50 KM West of DI Khan. It’s all mud houses except the mosque. There is no electricity, no water, no communications, no economic activity etc. Agriculture and cattle grazing is the only commitment of the people which is in its most primitive stage. It depends on rains in the mountains and the runoff is used as water source for all purposes. The rain fall is not regular thus causes draught and famine of highest order. Drinking water is brought from distance, from rain accumulated ponds or from tanks filled with spring water. The animal’s drinking water is also from ponds. In these circumstances RAWO has started some welfare schemes in the area to support the poor villagers. 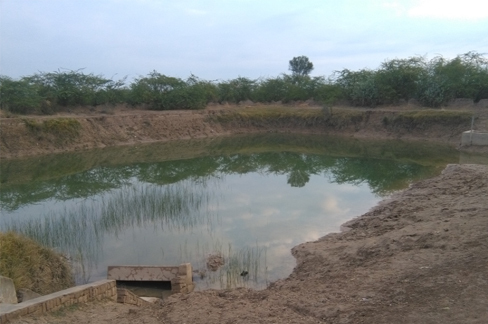 In the first instance a Tube Well has been installed in Sept 2017, with solar power to uplift the agriculture and help solve the drinking water problem of the village. Some other schemes such as financial support, Ration support, Tuition Centre, Provision of Cloths on Eid etc are also under taken on limited scale due to financial constraints. Presently Imam Masjid is representing RAWO in the village. Installation of Tube Well (Solar Powered). Deep drilling up to 300 ft is required to. Get regular supply of water .For economical purposes solar power is provided. One TW can irrigate up to 90 Kanals of land. TW was installed under Micro Finance. Scheme with zero mark up. Dress Suites to each student and Teacher were gifted. Food arrangement for 300 participants. Financial and support in kind have been provided to a poor widow of the village for the marriage of her daughter as a welfare measure. 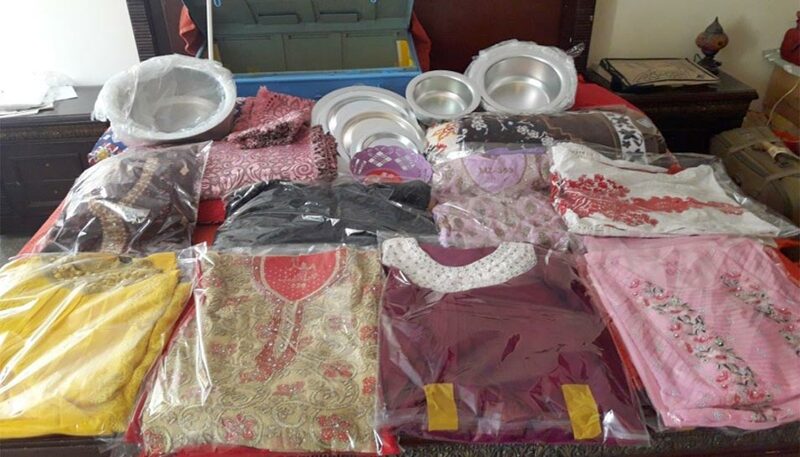 7x Ladies Suites, Bed Cover, One Trunk, Prayer Mat, Set of cooking Utensils, 6xPersons Dinner Set and a Quran Sharief along with cash. The welfare of a society has unlimited dimensions and scopes with unending expenditures. 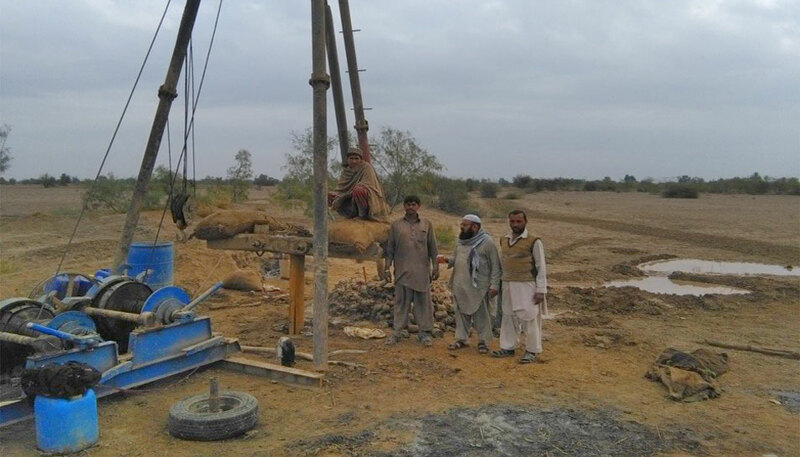 With the establishment of RAWO with meager resources some positive results have been achieved. The scope and extent can be enhanced with the increase in resources and efforts. However with collective efforts in organized manner and with God blessings, the welfare work can be enhanced to new heights.